A regional daily journalist managed to lose weight after undertaking an all-Greggs diet for a feature. 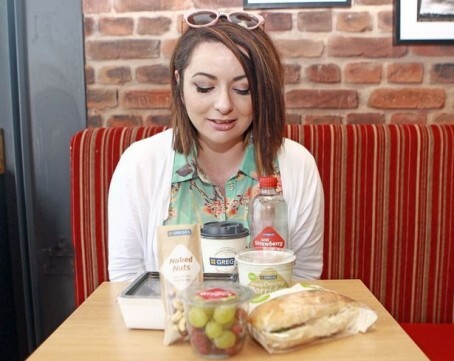 Zara Whelan, of the North Wales Daily Post, spent seven days eating only food from the chain bakery and managed to lose two inches from her waistline as a result. Zara’s weight at the start of the diet was 11st, which had gone down to 10st 9.5lbs by the end of the week. The resulting feature she wrote for the Daily Post has since been widely shared across its Trinity Mirror sister titles. Wrote Zara: “My boss put me on the Greggs Minimise Me diet. For seven days, I have followed the meal plan, as devised especially for me by their dietitian to see if you really can lose weight eating food only from the omnipresent high street baker. Zara added she thought the weight loss was a “pretty decent result” but conceded it “wasn’t easy”. She added: “Not only can you only eat specific pre-prepared food, you have to walk past a tonne of cakes to get it. It will require willpower from the darkest depths of your soul. The word NO will always be at the tip of your tongue, and you will miss a warm meal. “I have to admit, my appetite has definitely lessened since starting the diet. My cravings have subsided and I am actively opting for healthier options. It has definitely changed my mindset about food, and I am in no rush to put that weight back on. “It’s also opened my mind to the more balanced options available at the bakery. And they are pretty nice too. I’m not a fan of pre-packed salads and sandwiches, but these are definitely some of the best I’ve tried. Good old British public have never quite grasped the shock fact that consuming less than you expend makes you lose weight regardless of what it is. Trinity Mirror love their adverts passing as news don’t they? Plugging Greggs here and elsewhere. Aldi is the big one. Every other day journalists (or content creators is probably more accurate) are urging readers to get down Aldi and spend money. I wonder how much the Daily Post got paid for running this? Don’t wish to be po-faced, but isn’t this the precise opposite of what Morgan Spurlock did in Supersize Me? Had Zara done what Spurlock did at McDonald’s, and eaten only what the average Greggs customer eats, she certainly would not have lost weight. This is a big portion of healthy-eating good publicity for a company which, for 99 per cent of its customers, is in the business of selling pies. I’ve no big ethical objection to Greggs flogging their stodge, but do they really need Trinity’s help in doing it? Anybody would think Trinity had something to gain from portraying such a big brand in a positive light…. Eat less calories and exercise..and so lose weight….what is the story apart from a free advert for Greggs? How much booze are you allowed under this diet? If it’s a decent amount – ie we’re talking gallons not pints – I might give it a go. Good feature, by the way! Great story, with the maximum “Hey Doris, look at this” factor. Blame those pesky readers who, inexplicably, refuse to discuss tractor production figures over a dinner of turnip stew. A free advert for Greggs which they’ll love as it’s being shared across the group, why bother spending on adverts when you get this kind of free puff. Desperate summer space filler I suspect. Won’t be the last we see. I admit I am a dinosaur who believes in writing proper stories. I accept times have changed. But I have to say that this is truly appalling. I would have been hung if I’d tried on this kind of garbage when I started on newspapers. That’s no offence to the reporter. And I’m glad she’s lost the weight.